Home SO's Bath Robe Hooks are equipped with our "Superior-Suction Technology", making them far stronger than their competitors. With no tools required, you can now easily install these modern and elegant hooks and hold anything up to 10 lbs, anywhere around your house! 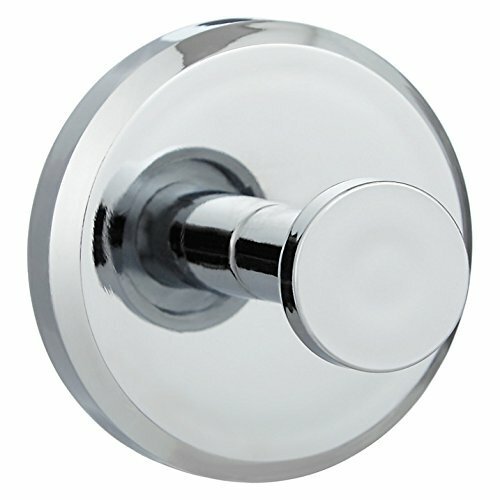 Unlike cheaper alternatives, these towel hooks holder are crafted with high quality ABS Chrome Plated & Natural Rubber. These quality materials guarantee the most Long-lasting, Waterproof and Rustproof vacuum. We are confident in the Superior Strength of this product, and offer all our customers a 100% Money-Back Guarantee! The modern design makes a stylish and convenient addition, anywhere at home. Imagine the possibilities: Choose the perfect spot for easy access to your towels, right out of the shower. Place it on your glass, mirrors or tiles to hang your bathroom essentials. Install it on your fridge to speed up your efficiency in the kitchen. Add multiple Home SO items to you cart, and get up to 10% OFF! FUNCTIONALITY MEETS STYLE - Our Superior Vacuum Suction Technology lets you install this hook with ease, while enhancing the beauty of your bathroom. SIMPLE INSTALLATION STEPS - 1, Choose and Clean any smooth surface. 2, Loosen the hook two turns counter-clockwise. 3, Apply pressure while twisting the hook clockwise until fully tight. NO TOOLS. NO SCREWS. HASSLE-FREE INSTALLATION - No more ugly holes in your walls! Simply choose a smooth surface, Twist & Lock, and you're done in no time! 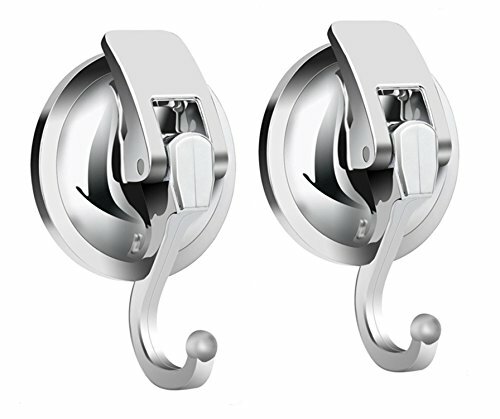 TOP PERFORMANCE - Our Advanced Suction Cup Hook Stays Unrivaled, you won't find a stronger Fix anywhere else! SATISFACTION GUARANTEED! Purchase with Peace of mind thanks to our 30-Day Money Back Guarantee. You will have plenty of time to experience the magic of our suction hardware! 1. self-adhesive, super powerful to hold 15 to 20lb per hook on wall. Adhesive Hooks Size:1.77"*1.77"*1.38" . 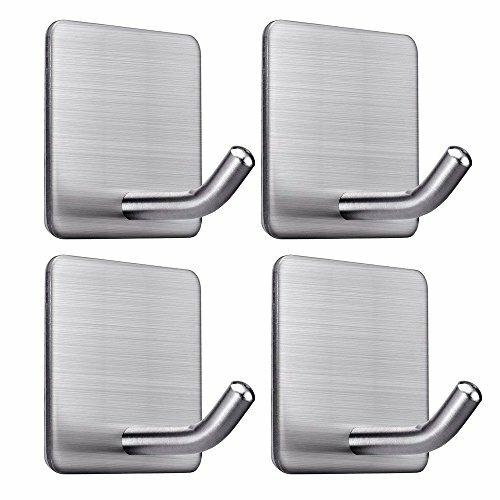 Dimensions: 1.77" x 1.77" x 1.38"
Sturdy & Powerful- Strong self adhesive and upgraded 304 Brushed Stainless Steel can provide extra strength and durability. Each hook can hold up to 15 to 22lbs. 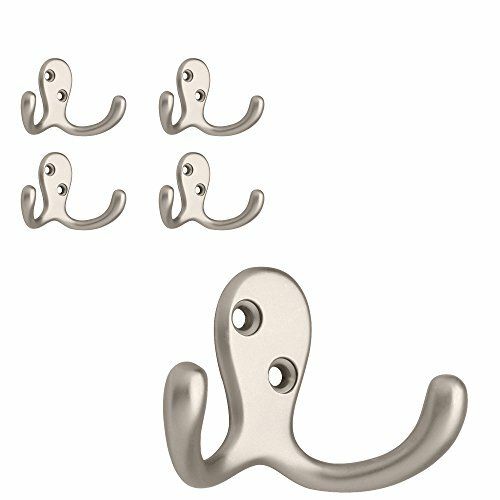 Functional and Modern Looking- Stylish silver hooks, beautiful and fashionable, compatible with any other modern designed home decor.Rust and corrosion resistant for your bedroom, bathroom, kitchen and office. Whether there are coats, suits, or extra clothes strewn everywhere, the bedroom is the room least seen by guests, so it s usually the messiest! Not with the Hold N Storage Over the Door Closet Rod! The ideal door hanger that is perfect for wet clothes, clothes that need to be ironed, seasonal clothes, coats, scarves and all the clothes you just can t seem to find a place for. It can be hung on any door with no extra hardware required for assembly or mounting, so you'll have more storage and less mess. It can be difficult finding storage and organization products of sturdy construction that can also be considered the least bit stylish . So we resort to cheap plastic bins and plastic racks and hangers. Not anymore! This over the door clothes rack is so versatile, that you'll have no problem organizing AND decorating! Our over the door closet rod features sturdy construction that can hold up to 35 pounds and has a lovely silver epoxy finish. The extra side hooks allow for a whopping 3 feet total of extra hanging space! Never worry about closet organization again! This over the door closet rod has everything you need in a storage and organization product. It's easy to see why customers love it! It needs no extra hardware for set up or assembly, which means that you can spend more time using it and less time setting it up. This over the adjustable door clothes rack measures 18 - 24 in Length x 10 x 10" and is expandable to 3 different widths with a push button release! Why Wait!? Click "Add to Cart" to order your Over the Door Closet Rod today! RELIABLE! HIGH QUALITY LOW PRICE: If you've been looking for a space saving solution for an affordable price, then your search is over! 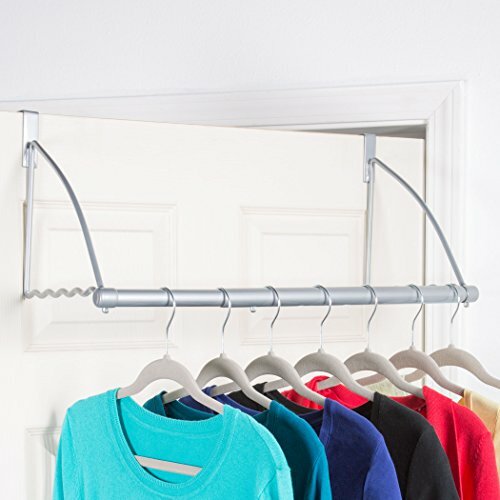 That's because our over the door closet rod is expandable to three different widths with a push button release, silver epoxy color, holds up to 35 pounds, creates up to 38 inches of hanging space from front and sides and requires no extra hardware to assemble! Dimensions Measure 18 - 24 Length x 10 x 10 this is the perfect addition to your home! 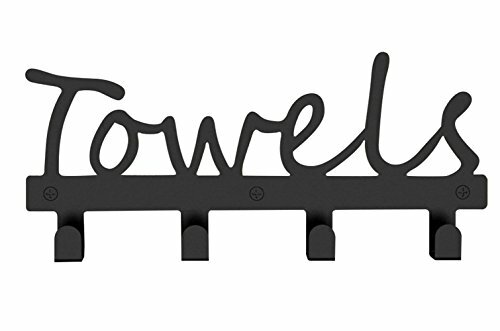 The Fasmov Wall Towel Rack perfect for storing hats, jackets, robes, towels and other garments. It is not just a hook, or a taste, a kind of mood. This is a group of young people carries the dream flagship brand. "Emphasizing details, Pursuing perfect" is our business objective. We pursue excellent product process and 100% customer experience! Your support and feedback are the driving force for us to move forward. A touch of elegance is the perfect way to bring style to your space, and it's just what you'll get when you make this gorgeous hook rack a beautiful part of your home decor! This wall rack features a classic black finish and a gracefully curving scrollwork design that will fill your home with timeless beauty. 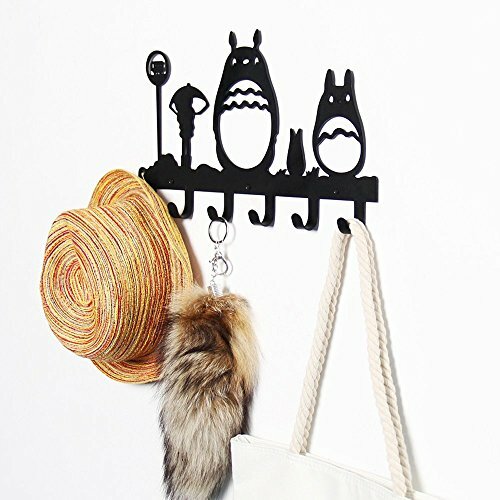 The 6 metal hooks make it easy for you to hang coats, hats, scarves, aprons, robes, handbags, and other items from this wall mounted storage rack. We pride ourselves in having excellent customer service. If you aren't happy, for any reason, we offer a no questions asked 90-day full refund. 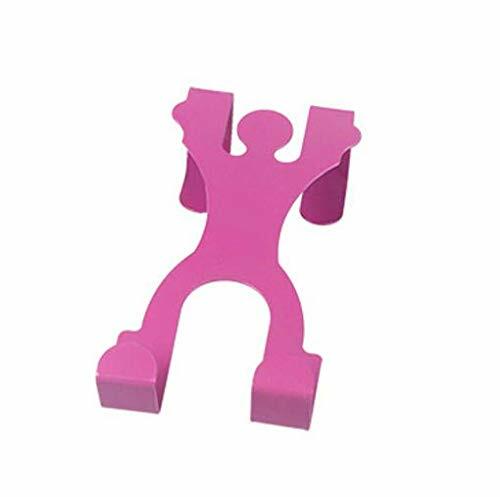 Because our products are Original Design, supplies of our clothes hooks are EXTREMELY limited and we do our best to keep up with the demand. Please order quickly if this product is in stock. [New Products Launch] Be sure to check out our SPECIAL OFFERS & PRODUCT PROMOTIONS! 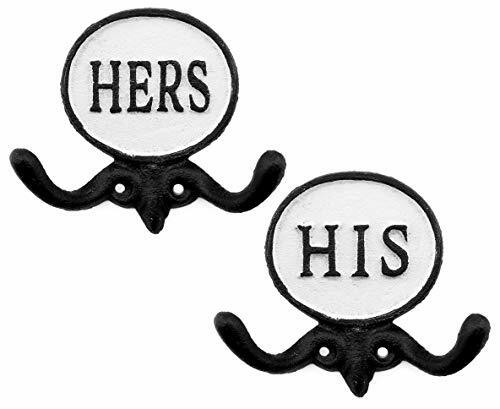 This coat hook can be a great addition to your home decor. It simply captures the attention of any one who sees it. Warranty: 1 year warranty and lifetime product support.